After blazing a trail of BBQ happiness this summer at weddings in Glasgow, Lochwinnoch, Loch Lomond, Edinburgh, Dunbar, Kirkliston, Renfrew & Kilsyth to name just a few locales, we’re stoked at the prospect of doing it all again in 2016. Informal BBQ & Street Food for weddings has been very much on trend & seriously on the rise over the last few years & we’ve absolutely loved getting fired in amongst it! We’ll be launching a new range of BBQ & Street menus in January 2016 with a smorgasbord of new dishes & exciting flavours all ready to hit the grills over the summer months. Our chefs have been working hard at our production kitchen, testing & trying (& tasting!) the new dishes & we can assure you they are smokin’ good! In the meantime our current Barbie menus are still available to order for 2016 weddings & events. 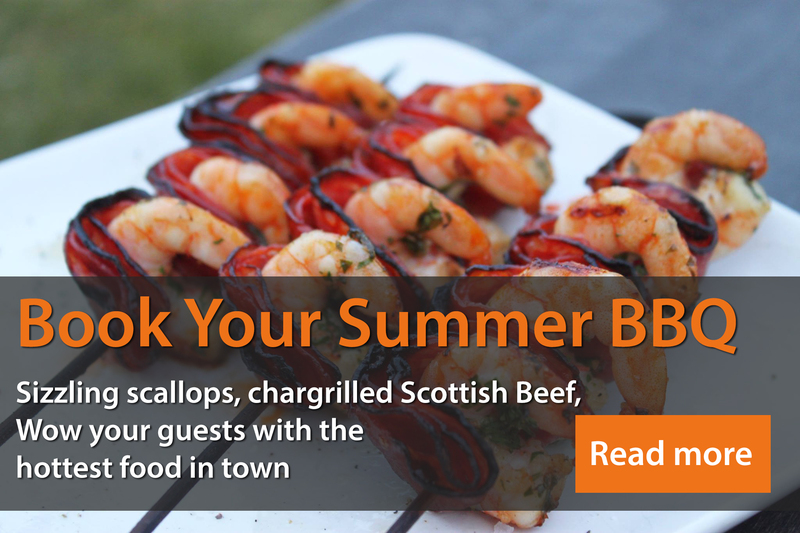 That’s right – book next year’s BBQ’S at this year’s prices! It’s a tasty deal & it’s on the coals for the next 2 months only. Book now while it’s still Hot……….